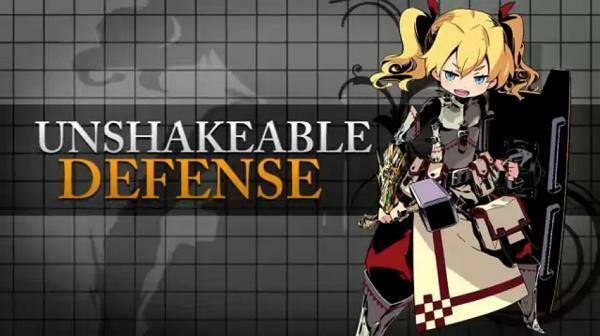 If you have any inclination of making it anywhere in Atlus' Etrian Odyssey IV: Legends of the Titan, you're going to have to find a way to take a serious amount of punishment. Expect some hard hitting foes to wipe you and your entire party off the face of the Earth in less than a heartbeat, should they get the chance. The Etrian Odyssey games don't mess around. Enter the Fortress class, the very definition of a modern day RPG tank. They'll soak up damage, taunt enemies into leaving their allies alone, boost the party's defense, and can still knock enemies down a peg or two while your heavy damage dealers get some good cheap hits in there. The focus of the series has always been building a balanced party of five to survive tough encounters, but I've never seen it as possible to do without bringing along one of these sturdy units. Don't let the Etrian Odyssey games fool you. They might sport the cute characters of a traditional JRPG, but the team is proud of their ability to channel classic first-person dungeon crawlers like Wizardry and Might and Magic. The DS trilogy has earned a rightful reputation as some of the hardest games available for the handheld, so while this new one might have an easy mode for newcomers, don't expect them to pull any punches with their 3DS debut. 2013 is lined up to be the year the Nintendo 3DS carries the torch of its predecessor as the place to go for great JRPGs. With traditionally hard games like Fire Emblem and Etrian Odyssey getting the ball rolling, one has to wonder if an entire generation will be turned off by JRPGs because they are too hard. Wouldn't that be the biggest turnaround in history? Etrian Odyssey IV: Legends of the Titan will be released on February 26th for the Nintendo 3DS. Happy dungeon crawling!